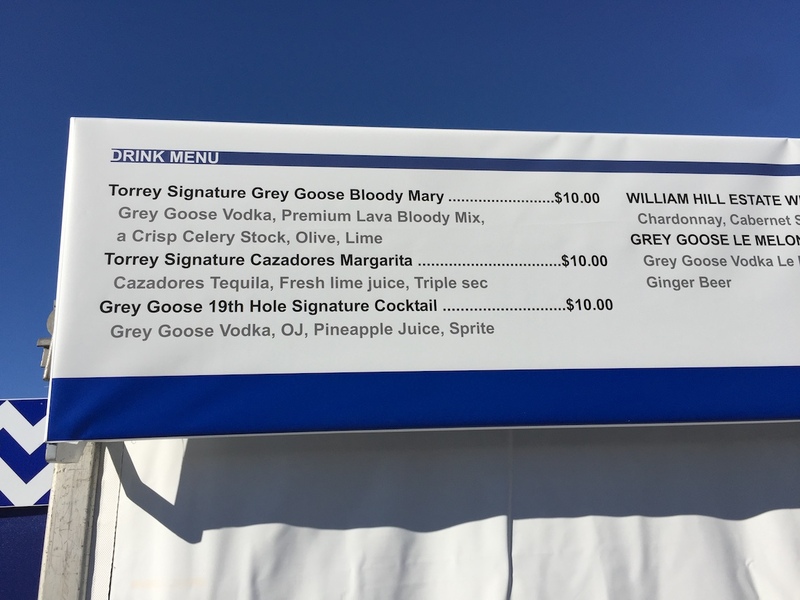 One of our first PGA events of 2018 was the Farmers Insurance Open at Torrey Pines, organized by the Century Club of San Diego and catered by Behind the Scenes. 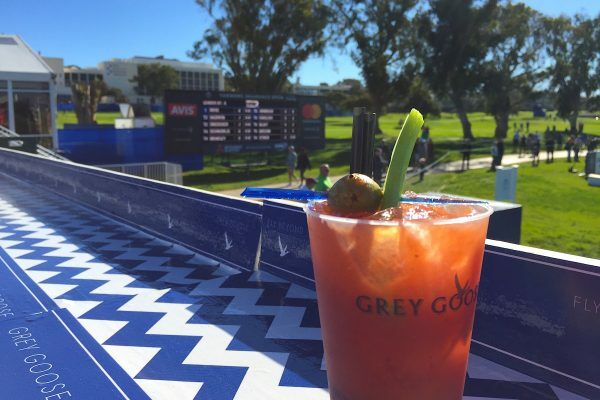 While January is not usually a good gold spectator month throughout half the country, one of the benefits of having a PGA event in our own backyard is being able to enjoy it with shorts and flip-flops in the middle of winter while sipping on ice cold Grey Goose + LAVA Bloody Mary’s. Starting in 1952, the Farmers Insurance Open was played at a number of different San Diego golf clubs. This included the San Diego Country Club and Mission Valley Country Club, before finding a home at Torrey Pines Golf Course in La Jolla in the 1960s. Past winners have included multiple wins by Tiger Woods and Phil Mickelson, Mark O’Meara, Bubba Watson, and Jack Nicklaus. 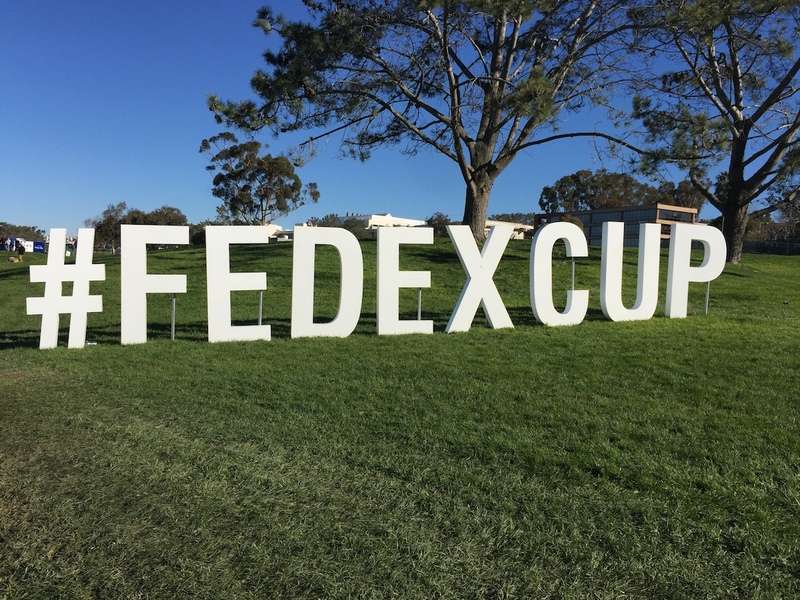 This was an exciting PGA event for us and the second time around for this particular event; having also been featured in 2017. 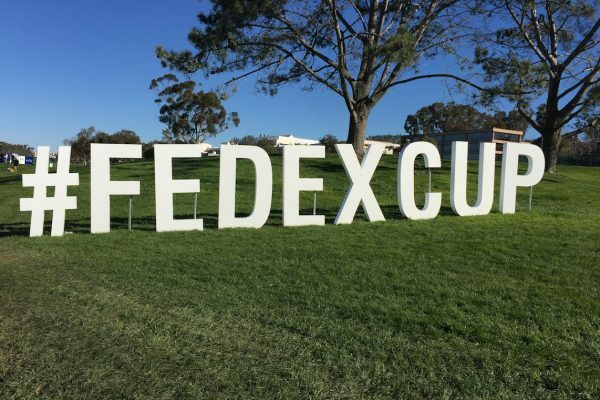 With unprecedented views overlooking the Pacific Ocean, beautiful weather, and a truly remarkable course and venue, the Farmers Insurance Open is without a doubt on to something big — elevating the golf spectator experience. 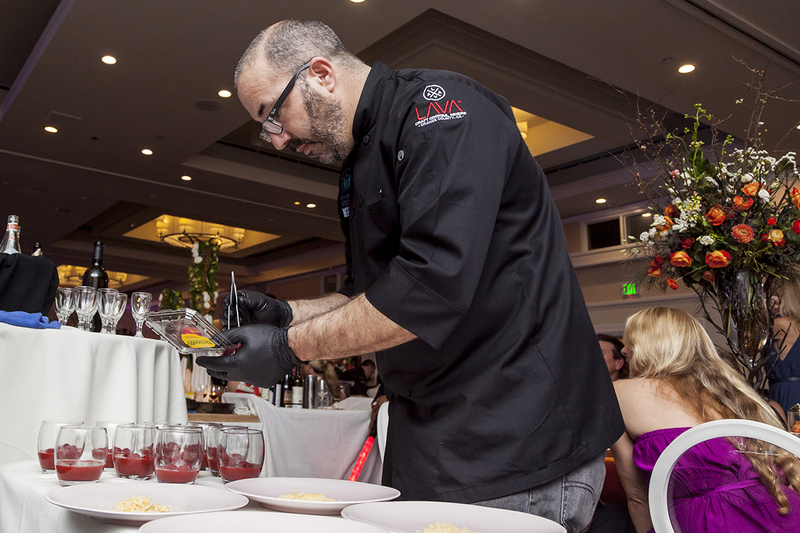 That has been their mission in recent years and part of the reason why LAVA is so befitting of their goals. 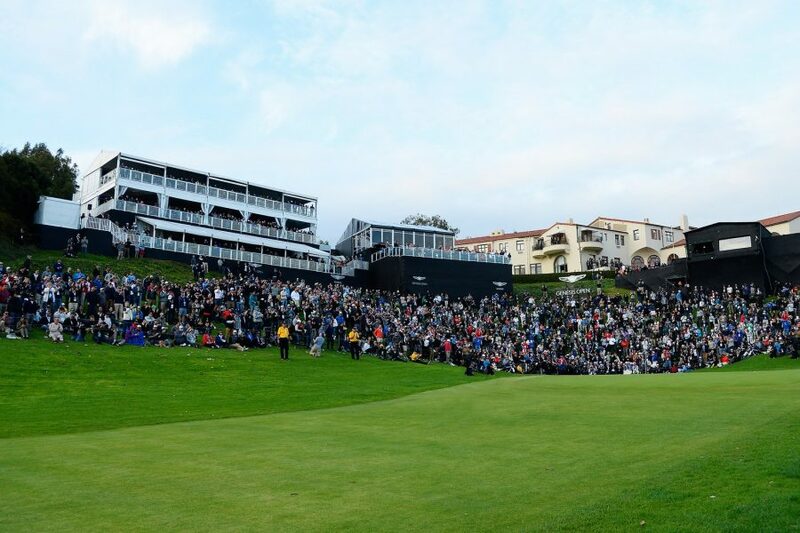 The attendance numbers is proof enough as hundreds of thousands of fans line up to enjoy watching their favorite golfers but also everything the golf lifestyle encompasses rolled up into this fine event. And that elevated experience really hits at the heart of LAVA’s cocktail mixers, which as we say, is meant to ‘raise the bar’ and elevate cocktails. 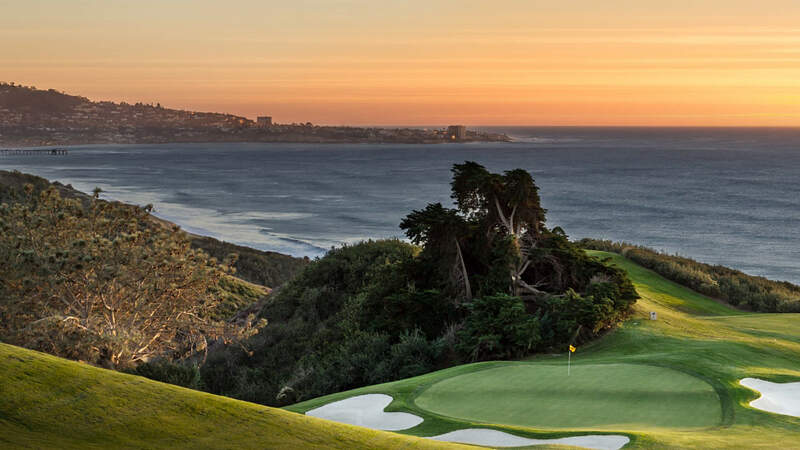 It seems particularly fitting to marry a higher end drink experience with one of the world’s most upscale sports — golf. 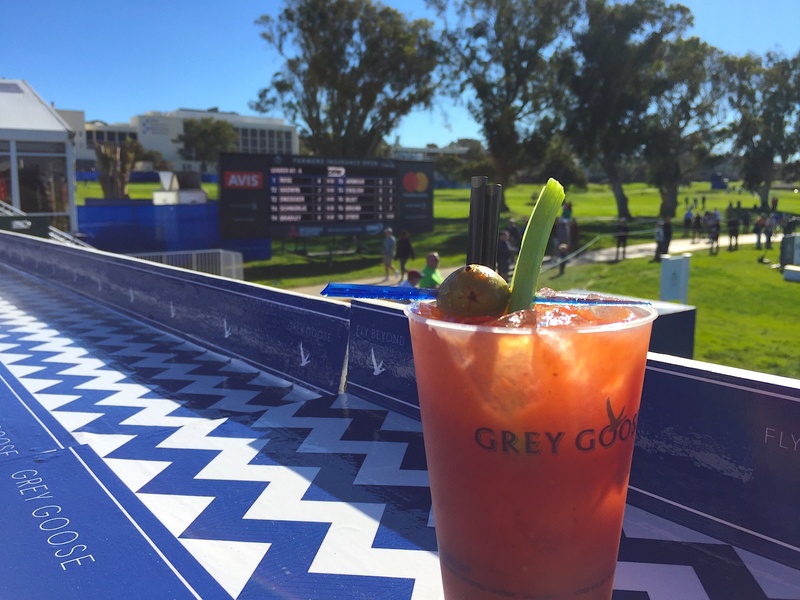 The Farmers Insurance Open brought all of that together with the convergence of upscale cocktails, the upscale community of La Jolla, and the upscale game of golf. In this way, it’s about more than just the sporting event of golf, but rather the culture of the sport. 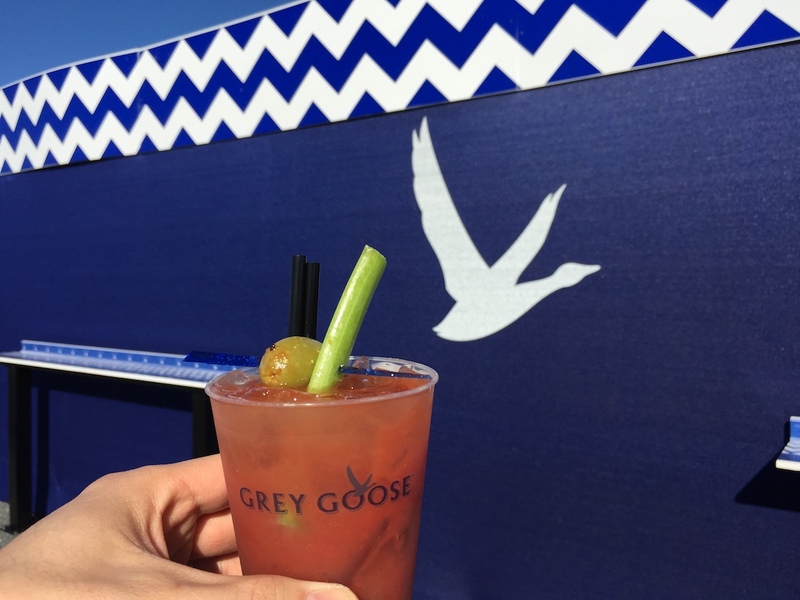 It’s especially fitting then that our weekend at the Farmers Insurance Open would be a continuation of our PGA partnership with Grey Goose, one of the world’s most premium vodkas (actually dubbed super-premium vodka). 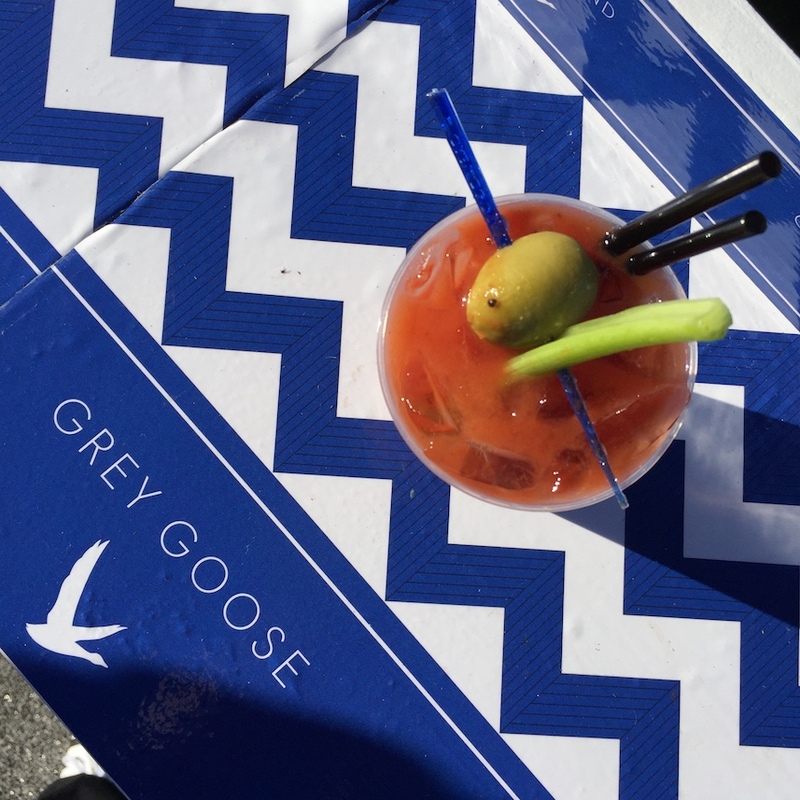 We paired our Bloody Mary mix with Grey Goose’s Le Citron Vodka for a Bloody Mary cocktail. Grey Goose Le Citron is unique in that it uses lemons from the world-renowned citrus region of Menton, France. According to Grey Goose, these lemons are favored among French chefs because of their thicker peels that yield higher levels of essential oil for a bright flavor profile. 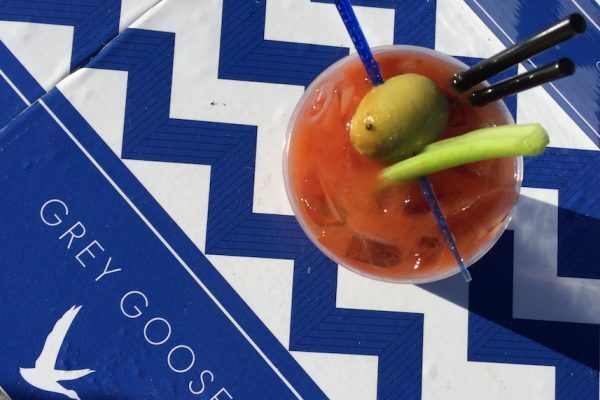 It’s the perfect complement to our Bloody Mary mix that uses a blend of Italian San Marzano tomatoes, delivering a fresh, bold flavor profile with mild to medium heat. 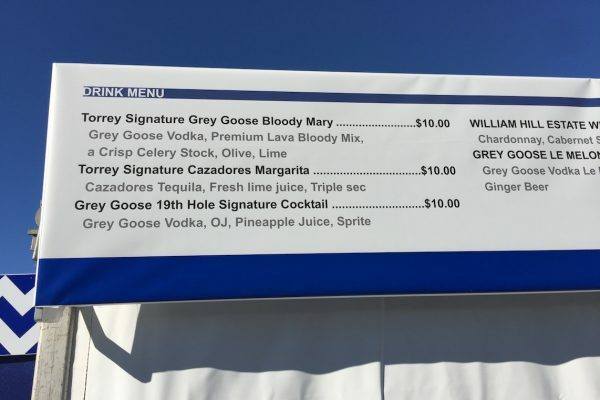 Marty Gorsich, COO of Century Club, told us that Farmers Insurance Open’s catering company, Behind The Scenes, sold more Bloody Mary cocktails than they ever have at the event. 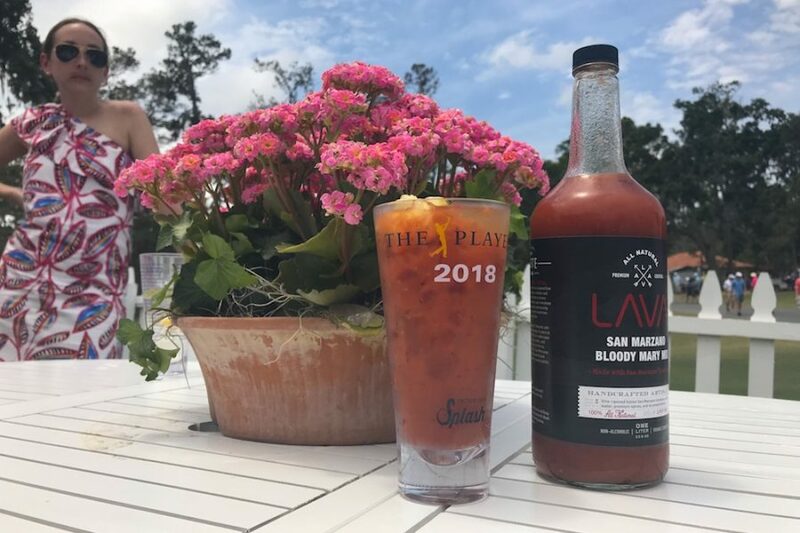 And what’s more, our Bloody Mary was the third most popular drink of the open, sold only behind beer and wine, which is unheard of. Talk about raising the bar! LAVA’s PGA series of events continues throughout the PGA golf season. 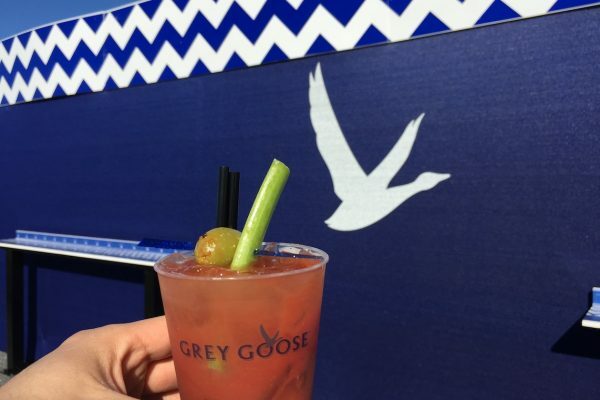 Check back for more events and cocktails! Copyright © 2018 LAVA Craft Cocktail Mixers.